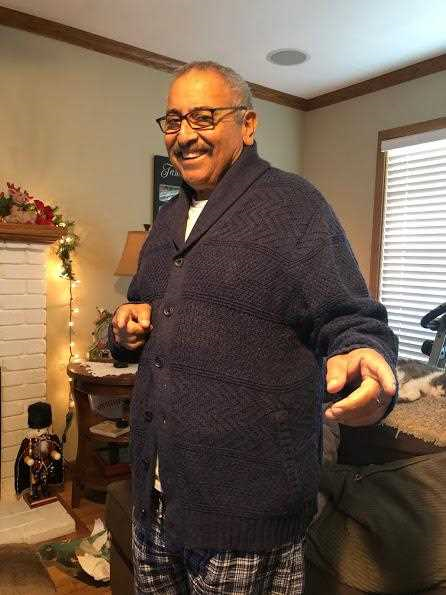 It is with heavy hearts that we announce the peaceful passing of Salvador “Sal” Valencia, with his loving wife, Gloria, and daughters, Vanessa and Alexis, at his side on January 16, 2019. He was 65 years old. Sal was born in Salinas to Jose and Celia Valencia. They moved to Watsonville and resided in the Casserly-Salsipuedes area where Sal and his five sisters grew up. Sal grew a love and appreciation for the game of baseball. At night, Sal would listen to baseball games on his hand held radio. In 1968, he became a fan of the Kansas City Athletics who then moved to the city of Oakland where they remain today, the Oakland Athletics. His favorite players of all time include Reggie Jackson, Bert “Campy” Campaneris, Willie Mays, and Ernie Banks. Growing up, Sal played Little League, Pony League, and Colt League. At the age of 11, Sal settled into his catching position that carried him through his younger years of playing all the way up into high school when he played for the Watsonville High School baseball team. While in high school, Sal met the love of his life, Gloria Banuelos. They began dating on June 11, 1971 and 6 years of dating later on the day, they married on June 11, 1977 at Holy Eucharist Catholic Church in Corralitos. Sal and Gloria resided in Watsonville, building a life and family together. They began their family in 1980 when they welcomed their daughter, Vanessa, and completed their family in 1983 when they welcomed their daughter, Alexis. Family time was most important to Sal and being surrounded with his girls was the quality of time that Sal looked forward to the most each day. He and his family spent their time traveling to Rancho Mirage, Hawaii, and various ski resorts, attending countless baseball games at the Oakland Coliseum, hosting many celebrations and gatherings at their home while Sal famously barbequed, listening and dancing to the timeless classics of the 50s, 60s, and 70s music, specifically his favorite band The Beatles, caring for many furry four legged animals, and helping to raise and take part in the upbringings of his five grandchildren. When Sal was not at home with his family, he was at his second home in the lettuce fields. Sal’s early teachings of fieldwork came from his father, Jose, when he was very young. He learned the means of hard work and the hands on experience of growing and harvesting crops. Fieldwork became second nature to him. When Sal graduated high school, he left for college at Cal Poly San Luis Obispo. A sudden shift of events changed Sal’s life when he was given the news that his mother, Celia, had been in a bad car accident that left her vision partially impaired. Sal quickly made the decision to leave school and go home to be with his mother and family in this time. Sal was one year short of graduating with a degree in agriculture. Sal eventually found his way back into the agriculture industry where he would dedicate his career and experiences for over 50 years. He worked in the seed industry for over 30 years in his direct involvement in the sale and production of lettuce, cauliflower, celery, broccoli, and other miscellaneous commodities. Sal worked as a Ranch Production Manager for 10 years before joining the company, Central Valley Seeds of Salinas as a Sales Representative. His sales areas included Watsonville, Castroville, Hollister, and San Juan Bautista. He was promoted to Dealer Representative, covering the areas of Monterey and San Benito counties, as well as Santa Maria, Oxnard, and the beautiful Coachella Valley. He was again promoted to Director of Dealer Sales within the United States and Canada. He also acquired new accounts in Mexico and Spain, including several direct sales accounts with growers. Sal is survived by his loving wife of 47 years together, Gloria, and his two daughters Vanessa (George) Waszczuk, and Alexis (Richard) Sousa; grandchildren Diego and Sophia Waszczuk, and Landon, Noah, and Harper Sousa; furry four legged companions; his father, Jose Valencia and his five sisters; in-laws, Gilbert and Lupe Banuelos; several brother-in-laws and sister-in-laws; several nieces and nephews; three godchildren; and the friends and family of the agriculture industry world wide. His mother, Celia Valencia, and nephew, Robert Valencia, preceded him in death. Sal will always be remembered for his sense of humor, knowledge of history and science, funny jokes, unique dance moves, collection and memorabilia of all things The Beatles, care for animals, passion for agriculture, love for his family, and dedication to his beloved Oakland Athletics. Mass will be celebrated on January 24, 2019 at Holy Eucharist Catholic Church located at 527 Corralitos Rd. in Watsonville at 11:30 AM with the burial to follow at Valley Catholic Cemetery located at 2445 East Lake Avenue in Watsonville at 1:00 PM and the reception will be held at The Grange located at 165 Little Corral Way in Watsonville at 2:00 PM.